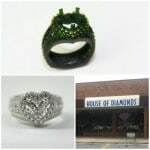 We are very excited to announce our latest project at House of Diamonds. 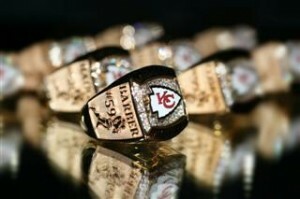 We were selected as the chosen jewelers to build the Kansas City Chiefs Ambassadors rings. Because the ambassadors contribute to scholarship funds and participate in charity golf tournaments in addition to other charity work; we knew that this amazing organization needed an astounding ring to represent them. All of us at House of Diamonds were privileged to see this fantastic organization at work when we were invited to their tailgate fundraiser at the beginning of the 2012 season. The designing process began as Karen Cullinane put her creativity to work, knowing that these retired football players weren’t small guys and would need something structurally strong and substantial to perform well. Karen first made a picture using Computer Aided Design (CAD); combining old world craftsmanship with the cutting edge technology of CAD/CAM. Our equipment allows an elevated level of detail and design perfection. 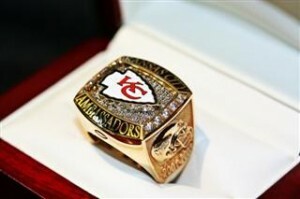 This advanced technology allowed the Kansas City Chiefs Ambassadors to view their creation in a rotating digital format. Next, Karen prepared a 3D model to show during the first presentation of the design, produced by our 3D printing technology. Upon meeting with Karen each model was then personalized with the recipient’s name and the number of years played with the Chiefs, with the option of adding more detail if they wished. 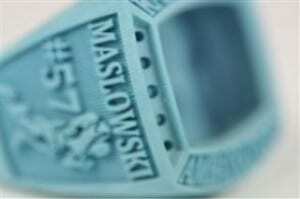 Once the model was perfected, it was given to our jewelers who are known for their precise craftsmanship to commence a three-part casting process. 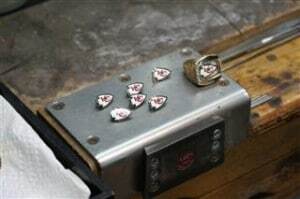 They began by casting the yellow gold base, next the background, and lastly the arrow heads were cast in white gold. 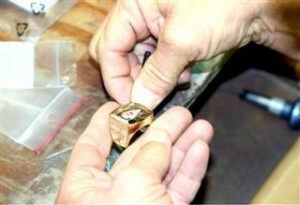 The metal was then polished and refined. The detailed assembly process started with the setting of hand placed stones, 68 in total, on the plate to create a pave finish. 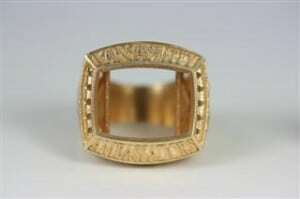 Next, the jewelers added 5 stones to each side of the plates with a channel setting. They were then assembled, buff polished, and cleaned to perfection. All of the rings were completely finished up to the gallery and down to the square bottom euro-shank, a design feature added for extra stability and comfort. We are very proud and excited to work with the Kansas City Chiefs Ambassadors and look forward to doing more projects with them in the future. GO CHIEFS!